Day 3: pressure washed and ready for stain. 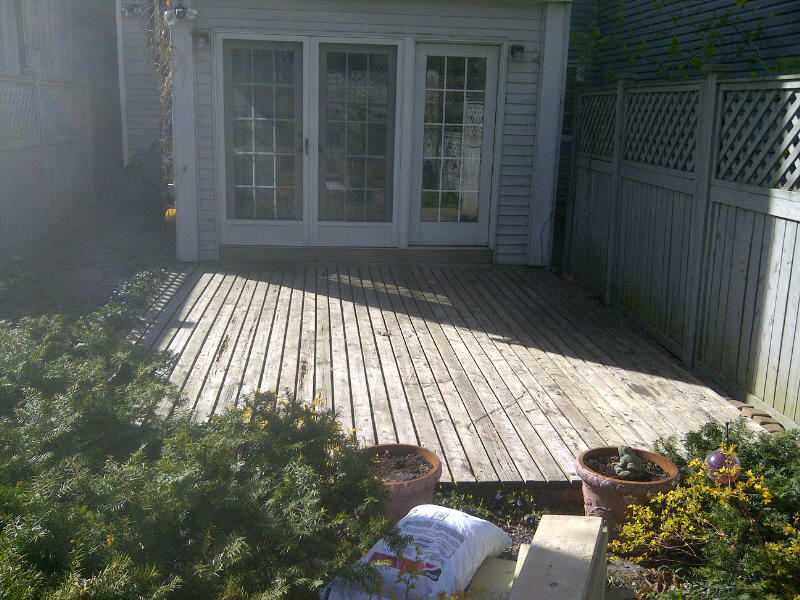 This week we’re at Rob and Inika’s place, replacing their deck. 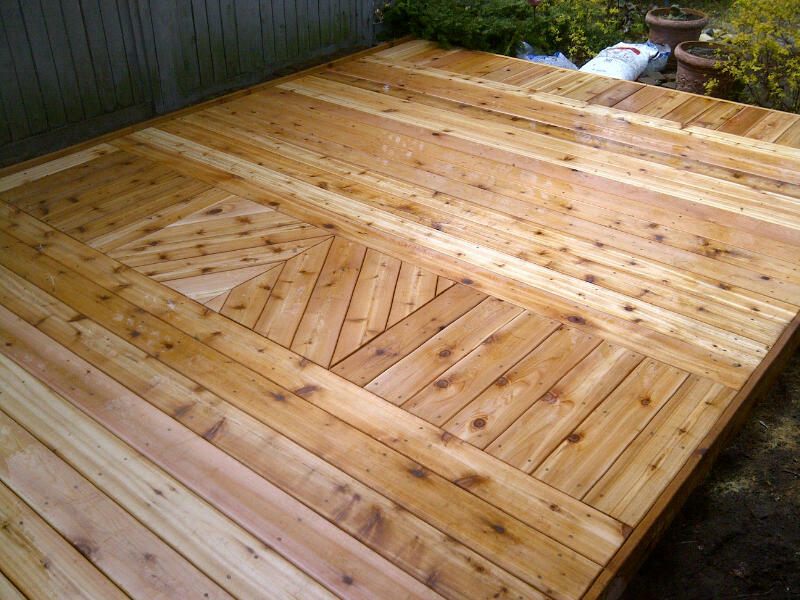 We were recommended to them by Samantha, a previous client. 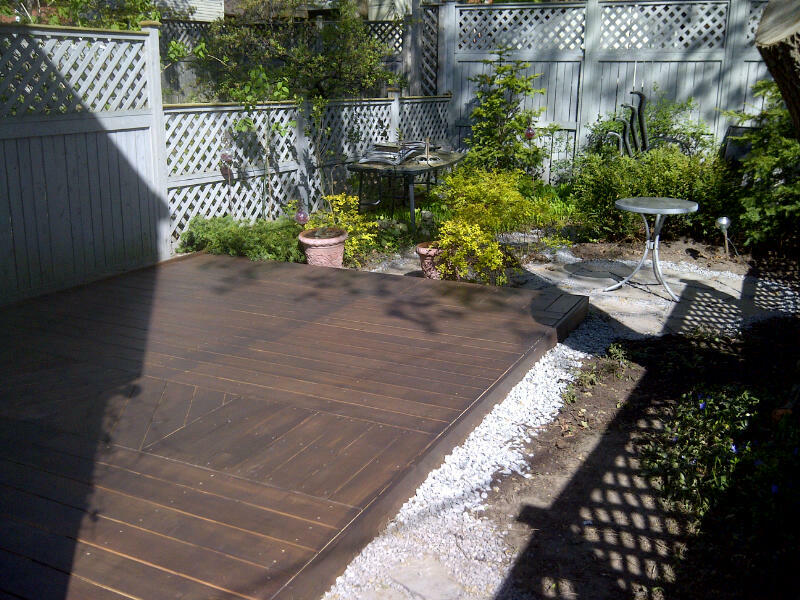 The new deck base is pressure treated wood (lasts longer) and the top decking is cedar. Inika and Rob gave us creative licence and we added a simple insert for visual effect. Plus, we added a new flagstone sitting area. The yard looks great! It’s exactly what I wanted. 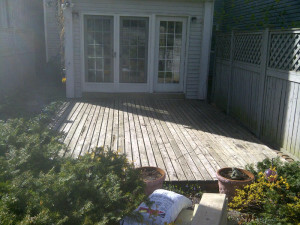 I think the stone patio looks terrific, and I like the addition of the stones along the side of the deck too. Yes, all we need now are some plants!